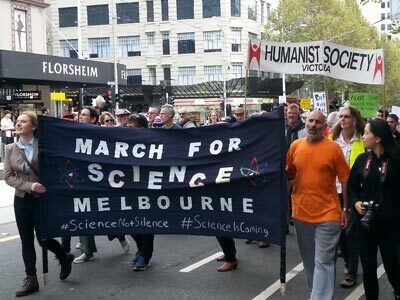 March for Science - Why science matters - Humanist Society of Victoria inc.
Humanists were among those who marched for science, in Melbourne, on Saturday 22 April 2017. Humanists marching in support of science is a ‘no brainer’. We did this because we support science as the best method to date, that humans have devised to gain accurate and reliable knowledge. We understand that the methods scientists use involve careful observation, conducting controlled experiments, openly publishing results and thereby exposing them to peer review. Does this mean that scientific knowledge is 100% accurate and true? No it doesn’t, but it does mean that it is well supported by the available evidence. And herein lies a problem, namely that grasping what science presents as knowledge is never the final word on any matter. It is the best available, but is always open to later review as new facts are discovered and alternate theories proposed. 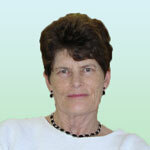 This open-minded approach presents many people with a conundrum. Because we humans prefer certainty many of us find living with doubt unsettling, especially as it gives science deniers an opening to dispute results. If we take human-caused climate change and global warming as an example, we are confronted with the situation where 95% + of climate scientists agree it is happening. They have supplied good evidence that humans burning fossil fuels has resulted in a rapid rise in greenhouse gases, in particular carbon dioxide that contributes to warming of the atmosphere. The evidence is multi-faceted and overwhelming as set out in what follows. As the atmosphere warms vast areas of permafrost, particularly across Russia are staring to melt. This causes the release of quantities of methane, another greenhouse gas. In addition the polar ice cap and glaciers are melting at an increasing rate. This exposes darker and therefore heat absorbing surfaces of land and water, both of which are recording rapid rises in temperature. Compounding the problem of rising levels of CO2, vast tracts of land are losing their forest covering. As most school children know plants take in CO2 for the process of photosynthesis. And by this process they make sugars using sunlight as a source of energy. If the coverage of vegetation, in particularly, large trees are reduced or removed, less CO2 will be absorbed from the atmosphere for photosynthesis. As atmospheric CO2 rises more of this gas is dissolved into the oceans turning them more acidic. Rising acidity in water interferes with the ability of aquatic organisms to lay down calcium carbonate skeletons. Research has demonstrated that the shells and exoskeletons of many aquatic creatures have become progressively thinner since the start of the industrial revolution. With weaker structures their survival rates are affected. Humanity needs to be well informed about science. This means good science teaching in schools and universities. We also need world-class research in a wide range of fields from medicine to nanotechnology. And it is best if adequate funding for both education and research is made available by governments on behalf of citizens, rather than from commercial sources with their vested interests in products and services.